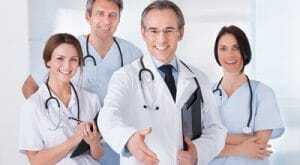 Home / Physician Assistant / What is a Physician Assistant or PA? Thinking about a job in the healthcare field? Then consider becoming a physician assistant. 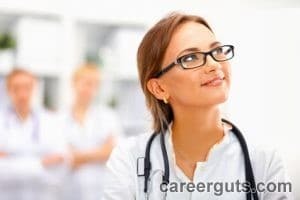 It’s considered one of the best jobs in healthcare, and there are several specialties in which you can choose from. Physician Assistants are similar to doctors and are valuable members of a healthcare team. Under a physician’s supervision, they perform medical interviews, perform physical exams, diagnose patients, treat illnesses, monitor patients, order and interpret lab tests, prescribe therapy such as physical and occupational, provide counseling and patient education, make rounds in hospitals and nursing homes, take medical histories, write progress notes and treatment plans, as well as prescribe medications. After earning a bachelor’s degree and working in the healthcare field for three years, it’s then time to apply to physician assistant programs. They are found throughout the country, and it’s important that they are accredited by the Accreditation Review Commission on Education for the Physician Assistant. This indicates they are quality programs and students will receive the necessary training. Most of them are two-year master’s programs, and while courses vary from school to school, students are likely to take: Medical Ethics, Human Anatomy, Biochemistry, Disease Prevention, and Pharmacology. Another part of the program includes clinical rotations in which students have to complete a total of 2,000 hours in: emergency medicine, family medicine, internal medicine, pediatrics, obstetrics and gynecology, general surgery, and psychiatry. Sometimes clinical rotations lead to job offers. Physician assistants can choose to pursue a post-graduate resident training program in the following areas: Internal Medicine, Emergency Medicine, Pediatrics, Neonatology, Rural Primary Care, and Surgery. Candidates are required to be graduates of an accredited physician assistant program and must be certified by the NCCPA. Before you can begin your career as a physician assistant, you’ll need to pass an exam with three hundred questions known as the Physician Assistant National Certifying Exam (PANCE) offered by the National Commission on Certification of Physician Assistants (NCCPA). Upon passage, you will be able to use the PA-C (physician assistant-certified) credential after your name, and you’ll need to take relevant continuing education classes every two years and re-certify every ten years. Another requirement before you can start your career is obtaining a state license. You’ll need to fill out an application and provide your college transcripts and score report from the National Commission on Certification of Physician Assistants. There is a fee for the license and you may need to provide more information depending on the state’s licensing body. Physician assistants work in clean, well-lit environments such as physicians’ offices, nursing homes, academic medical centers, hospitals, prisons, and public clinics. The U.S. Bureau of Labor Statistics reports the average median annual salary is $92,970, and factors that determine wages are location, education, experience, specialty, and employer. Physician assistants are more cost-effective than hiring physicians. 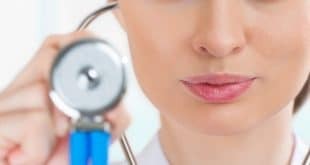 Therefore, more doctors and institutions are expected to hire additional physician assistants to provide primary care and assist with procedures and surgeries. This means the job outlook is favorable, especially in rural and underserved communities. Physician assistants have great careers and treat patients from all walks of life. If you enjoy working with people who range in age from infants to senior citizens, this might be the healthcare field for you. To learn more, contact us. We’ll be glad to answer any of your questions. Previous What is a Pharmacy Technician’s Salary, Duties, and Job Outlook?